In the third match day of the EHF Champions League, Barça Lassa overcame Swedish side Kristianstad by 44-25. Xavi Pascual's team put in a splendid second half performance to record their second win in three games in Europe. Dolenec and Dika Mem were the stars with 7 and 6 goals respectively. 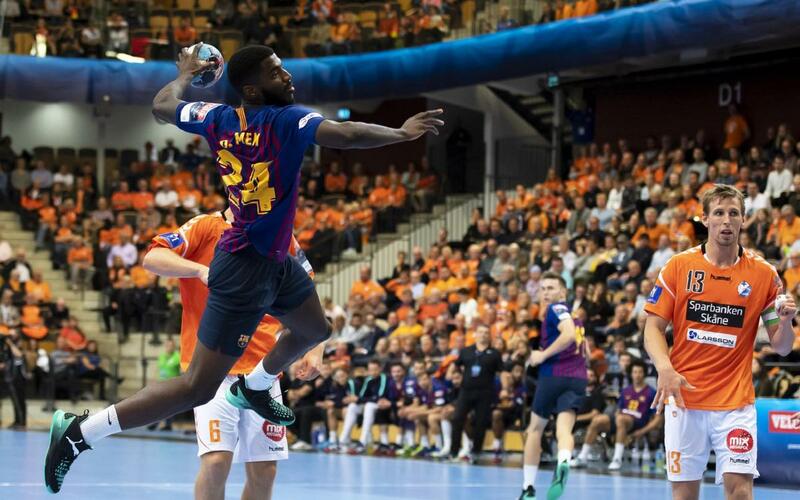 In packed arena, the Swedish hosts began well and with the home side 8-7 ahead early on, blaugrana coach Xavi Pascual was forced to call a time out. The decision was a good one; Barça regrouped and thanks to quick counters and the goalkeeping of Möller, they went into the break 19-14 ahead. In the second half, Pascual's team upped their game and with quarter of an hour left they led 33-19. In the end the comfortable 44-25 win allowed Barça to take their second win in three matches in the Champions League with their next game on 3 October against CB Cangas in the Asobal league.